Arab Muslim Butchery: ITAMAR MASSACRE | Free Israel! 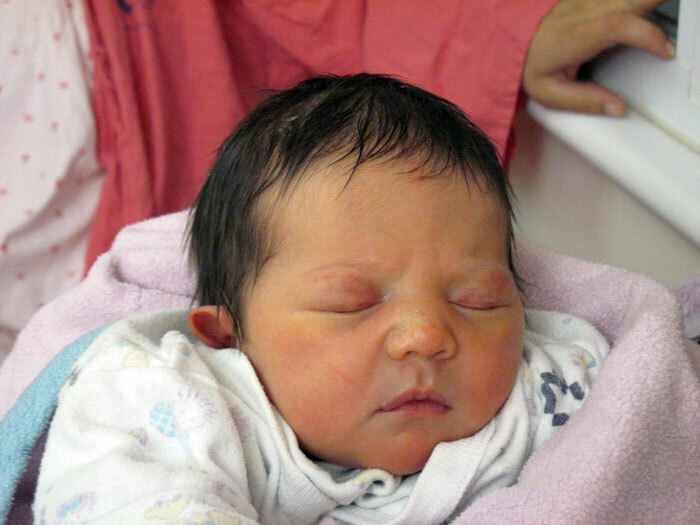 The Itamar massacre, Arab-Muslim “Palestinians” [affiliated with PFLP] infiltrate the Itamar town in Israel, butcher the Fogel family while asleep, the baby’s throat was slashed. In the aftermath, the Arab Muslim city of Gaza celeberates the crime. The two Arabs arrested (a month later) in the heinous crime did NOT regret committing it. March 12, 2011 ….. Part of the following was communicated by the Israel Government Press Office to the Israel News Agency. As many in Israel shed a tear, they shake their heads and question: “how can an animal stab a 4-month-old baby to death”? Most of the world’s nations remain quiet, few condemnations have come forth as Islamic Gaza residents from the southern city of Rafah have poured out onto the streets to celebrate the terror attack in West Bank town of Itamar, in which five family members were murdered in their sleep. These “democratic” and “peace loving” nations are quick to grab headlines in criticizing the natural growth of cities and towns in the West Bank – Judea and Samaria – but when it comes to the innocent blood of Jewish children, they are nowhere to be seen. Arab oil over democracy and basic human rights? Udi Fogel, 36, his wife Ruth, 35, and their children Yoav, 11, Elad, 4 and Hadas, 3 months were all stabbed to death. The funeral for the five members of the Fogel family, murdered in a terror attack in the West Bank town of Itamar on Friday night is scheduled to take place in Jerusalem on Sunday. One very quick point I’ll make is that this was clearly not a family above all of “settlers”–some alien species that exists primarily as a political bargaining point–but of human beings. In the home next door to the one that was invaded, kids’ clothing was hanging on the line next to a child’s bicycle. You simply cannot look at that and think, “This story is above all about land and politics.” This story is above all about murder. They were children and they were murdered. Two more children were orphaned. The children were targeted deliberately. This was a premeditated murder–not a crime of passion or self-defense–and it was a psychotically savage crime. Anyone who in any way tries to rationalize or minimize this or to suggest that this is a fitting punishment for anything needs to go out and look at a three-month-old baby and ask himself what it would take to climb over a fence, climb in a window, and cut off that child’s head. If that act seems an “understandable” reaction to a political grievance to him, I don’t think we can have much of a conversation. Palestinian youths from Awarta “saw children sleeping in Fogel home,” snuck in and stabbed them to death; suspects affiliated with PFLP. Police have arrested Hakim Mazen Niad Awad, 17, and Amjad Mahmoud Fawzi, 18, in the West Bank village of Awarta on suspicion of murdering in their beds five members of the Fogel family in neighboring Itamar on March 11. They confessed they were motivated by an ambition to kill Jews as Palestinian nationalists and die as martyrs. They expressed no remorse. After climbing the Itamar perimeter fence, the pair stole an M16 automatic rifle from an empty house, broke into the Fogel home and knifed two children Yoav and Elad. Their parents Udi and Ruthie Fogel woke up to find the killers in their bedroom and put up a fight. They too were stabbed to death. When one of the two murderers returned to the house to look for more weapons, he killed three-month old Hadas, stole another M16 and left. He said had he known there were two more children sleeping in the house, he would have butchered them too. Their 12-year old sister found the five bodies when she returned home that night. The two killers, Awad still at high shcool and Fawzi a student, handed the stolen rifles over to Palestinian accomplices in the Ramallah sector who later helped them destroy the evidence of their crime. Six were rounded up. Three young Israeli Arabs from Nazareth were indicted before the district court Sunday for conspiring to carry out acts of terrorism. They established a new group called “Pledging Death to Zionists” and planned to make their own pipe bomb and gun for attacking Israeli soldiers, policemen and civilians. Two teenage Palestinians from the village of Awarta near Itamar have been arrested for the murder of five members of the Fogel family on March 11, in a murder that shocked even many Palestinians. Both Awads were active in the Popular Front for the Liberation of Palestine and reconstructed the crime for Israeli Shin Bet investigators. According to Ha’aretz, the two acted independently of any terrorist oorganization and decided they would carry out the murder on the Friday afternoon before it took place. The two left Awarta, masked, at 9 p.m. carrying an umbrella, several knives and wire cutting shears. It took them about 10 minutes to cut the fence to the settlement, and once inside they broke into an empty home and stole an M-16 rifle, a weapons cartridge, a vest and a helmet. Outside the Fogel family home, they noticed Yoav and Elad, aged 11 and 4, through the window. They then entered the home and stabbed the two boys. They next entered the room of Ehud and Ruth, the parents, who struggled but were overcome by their attackers who shot and stabbed them. The suspects immeidately fled out of fear that the shots had been heard. After a few minutes, the two realized that the gunshots had not been heard. Amjad Awad re-entered the home in order to steal another M-16, when he noticed the three-month-old baby and slaughtered her as well. It is unclear whether they noticed sons Roi, 8, and Yishai, 2, but in any case their lives were spared. The murderers returned to their village of Awarta where they told Hakim’s uncle, PFLP militant Salah E-Sin Awad, what they had done. Salah helped them hide the stolen weapons and knives as well as burn their bloody clothes. Their arrest was facilitated by DNA evidence left behind due to the struggle with the parents. According to the Shin Bet, Hakim and Amjad “described what they did with self-control and did not express regret over their actions at any stage of the investigation.” They did not distinguish between the murder of adults and children but simply viewed their attack as an act against Jewish Israelis. The other suspect, Hakim Mazen Uwad, is a high school student. He has previously run afoul of the law for stabbing other youths in his village over personal matters. His father Maazan is also a member of the PFLP. In the late 1990’s he served five years in a Palestinian Authority prison for murdering his niece and the burning of her body. 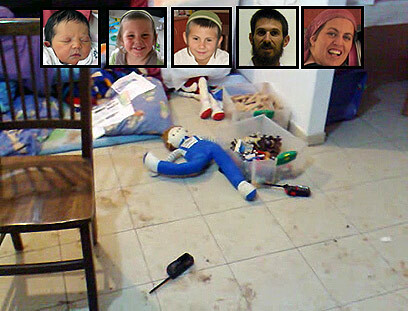 Awad’s uncle, Jibril Awad, was involved in the June 2002 terrorist attack in Itamar, in which Rachel Shabo (40) and three of her children (Avishai – 5, Zvika – 13 and Neria – 16), and their neighbor Yosef Twito (31), were murdered. This entry was posted on April 29, 2011 at 8:13 am and is filed under Uncategorized. You can follow any responses to this entry through the RSS 2.0 feed. You can leave a response, or trackback from your own site.